I am an experienced therapist who specialises in working with children. I will listen carefully to your concerns as a parent and will ask you questions to find out about many aspects of your child’s development. It is so important to see the whole child and not just to focus in on their difficulty. Every child has their strengths and their weaknesses and I will work with you to help achieve your child’s potential. The key part of the assessment for the child is that they never feel that they have failed. They are always placed in a position where they feel they have succeeded and achieved good results. I will speak to the parent about the results without the child being present or alternatively, it can be done over the phone alongside the written report that I will produce. There is no set way to assess a child as every child is a unique person. However, the list below shows a suggested list of some options that may be offered to you. A comprehension check may be needed to see whether your child understands all the parts of spoken sentences. This may be done using a book of pictures or it may be done through giving instructions through play tasks. Older children will have a greater range of comprehension checks and this will include their understanding of spoken paragraphs and stories. An expressive language assessment may be needed for those children who may be struggling to tell you their ideas. Sometimes this is done using a book of special pictures but it can also be done while your child is talking about a story or chatting about their play. Older children can be asked to listen to a story and to retell the story in their own words. They may also prefer to talk about their hobbies or share Apps on their iPad. The whole purpose of the expressive language assessment is to see how your child explains and shares their ideas. The therapist will note down the type of sentences that your child uses and will analyse their story telling /explaining after the session has finished. A social thinking assessment may be offered to older children who seem to make ‘blunders’ in their conversation and who would like to be friends with their peers but who struggle to do so. This is a complicated area of language and involves the understanding and use of sarcasm, jokes and other implied meanings. Non-verbal communication is also very important but sometimes a child doesn’t absorb and learn all of these skills. These higher level language skills can be taught and I believe very strongly that it is never too late to help a child to acquire language skills. Sometimes this area of language is referred to as pragmatic language development. Children sometimes find it very hard to listen and attend to spoken language at home and in class. An attention assessment observes your child’s responses to visual and auditory distractions. I will look at what your child can do as well as what they can’t do. A child may complete a phonological awareness assessment if you are worried about their progress in reading and/or spelling. This task asks your child to complete spoken puzzles about sequences of sounds and syllables. 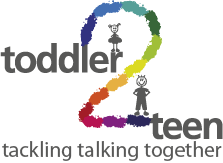 This takes the whole of one session and is usually completed with children who are 4 years old who have had a history of speech difficulties or with older children who have been identified as struggling by their parents or teachers.